Punky and I officially have the best jobs in the entire world. 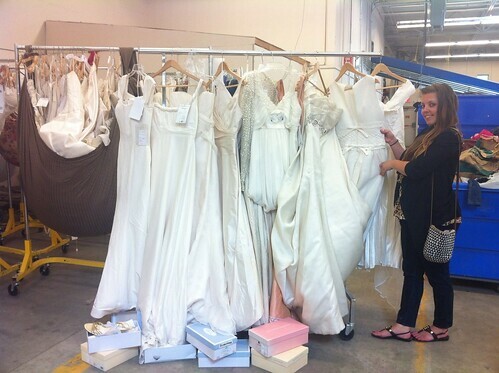 In preparation for next week’s Wedding Season Swap & Shop (aka the #DressSwap), we got to spend the afternoon today curating the designer bridal donations at Goodwill’s distribution center here in Boston. …and they’re all going to be on sale for just $100! If you’re a bride on a budget (or an inspired old-married-lady like me looking to renew her vows someday, or an adventurous fashion upcycler) or know someone who is, join us at next week’s swap for a very special pop-up wedding shop including these 10 (ten!) 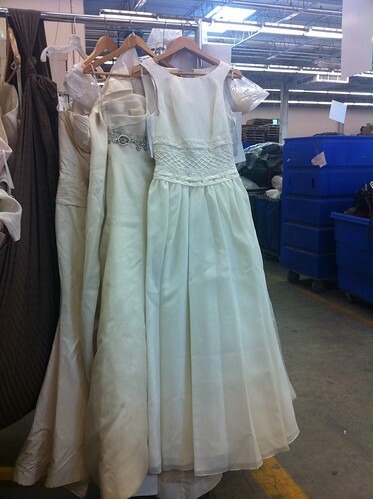 NWT designer bridal gowns for just $100 each, plus nearly as many pairs of bridal shoes still in the boxes for just $15 each. But, you have to have a ticket (and your checkbook)! All the proceeds from the sale of these dresses will directly support Goodwill’s job training and youth programs, so you can feel good about doing good while getting the steal of the century! Seriously, do you have your tickets yet? 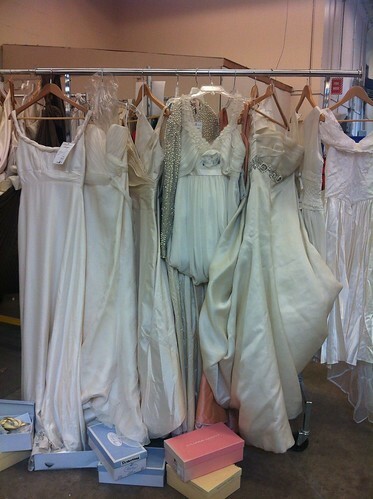 Priscilla, Melissa Sweet, Watters, and a whole bunch more of our bridal friends are hiding in that rack, so tell your friends by sharing the event info on Facebook and Twitter! Best job ever. Really, you guys. 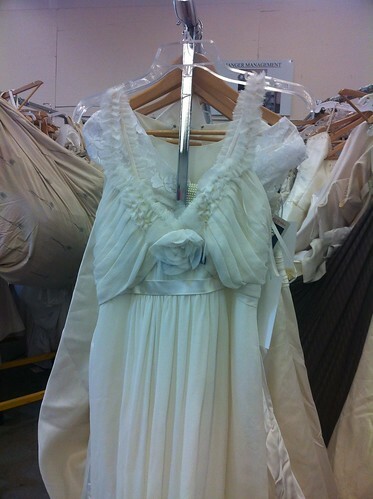 So that’s where goodwill has been hiding the wedding dresses…I’ve been looking for ages for an 80s wedding dress to make do as a costume of Sarah from the Labyrinth (David Bowie, sigh!) –and I haven’t been able to track one down! 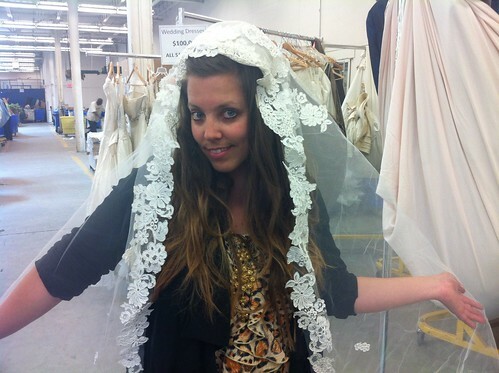 Any chance you’ve found a giant beaded mutton sleeve can’t-fit-through-a-door ballgown?